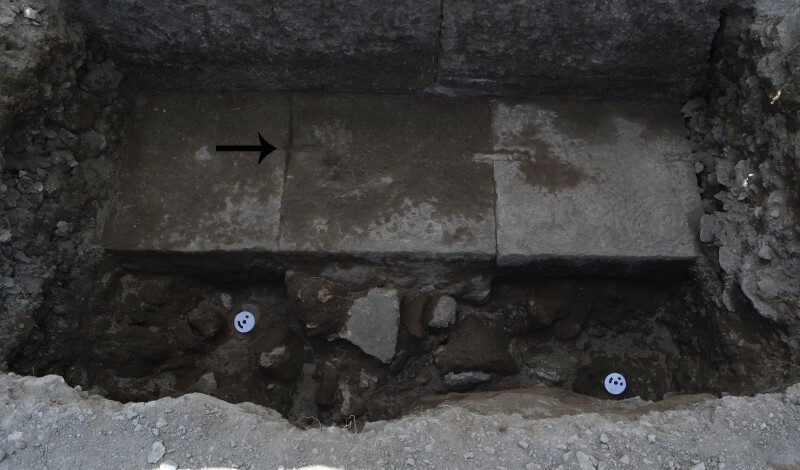 Figure 1: E side of the temple podium: fill of the foundation trench (SU 2602). Note the cavity full of lapilli (photo: VPP). In the W sector of the dig we excavated what we had taken to be an intact stretch of the construction fill from the foundation trench of the trachyte temple podium. This stratigraphic unit seemed to consisted of debris resulting from the in-situ finishing of the blocks (figure 1). A cavity full of lapilli can be associated with the shuttering (formworks) of the concrete substructures, which also retained the baulk of the foundation trench. The lapilli were probably redeposited from above after the post itself had decomposed. 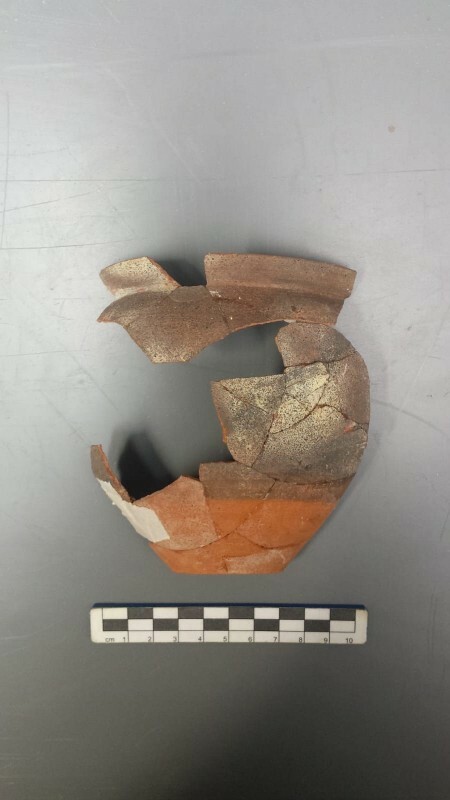 A smashed thin-walled goblet was found at the bottom of the trench, possibly in primary deposition (figure 2; video). 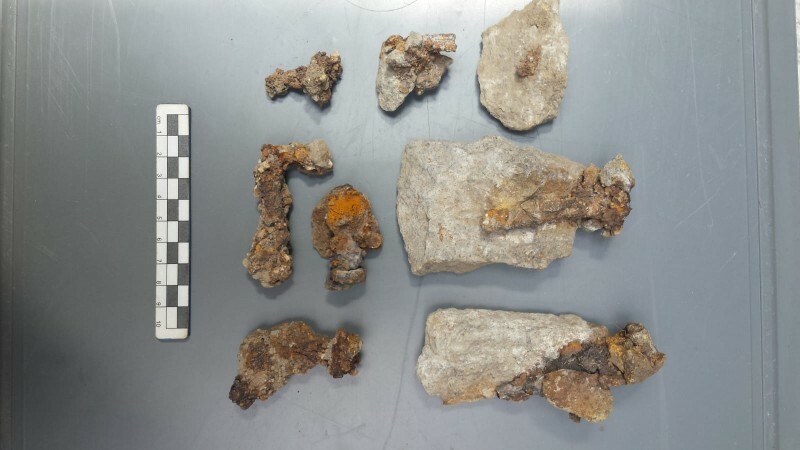 The upper level of the fill, however, included fragments of trachyte with traces of metal clamping (figure 3). Two blocks of the bottom course of the podium showed evidence of the robbing of a lead clamp that originally joined them (figure 4). The early excavators of the site, Sogliano and Mau, had in fact debated the question of whether the temple was still under construction or already being spoliated at the time of the eruption. Another possibility is to link the finds with the ancient revisiting of the site post-79 CE to quarry and recycle building material (up to three courses of blocks on the S and E ides of the podium are missing). We’ll investigate this issue further. In addition, we continued to remove the backfill of the trenches opened in the 2006 excavations. In Trench IIN we re-exposed the levels reached previously, bringing back to light the features below the temple court. Our special thought goes to Raphaelle-Anne Kok-Merlino, who supervised the area in 2006. We remember her fondly and, by resuming activities in her sector, we hope to make her important contribution known to the public. A row of curb-stones delimits a sidewalk provided with a drain (figure 5). 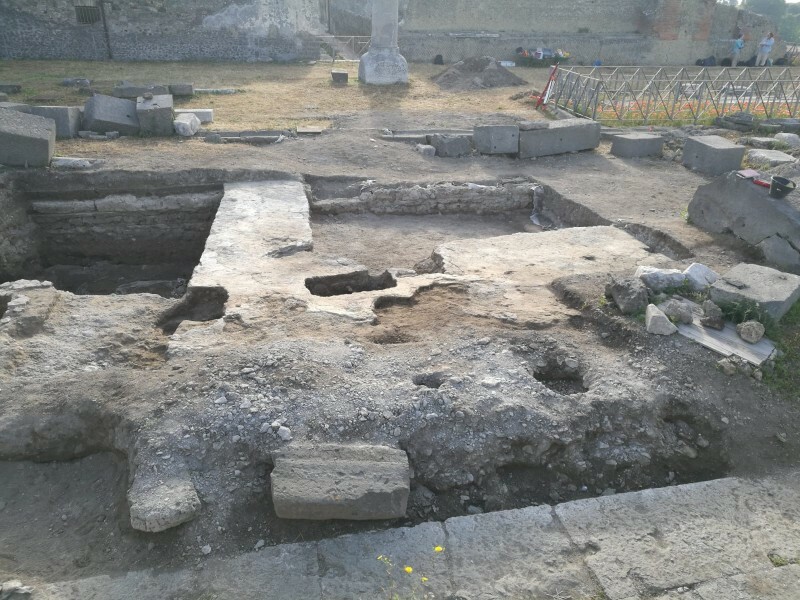 These structures can be clearly associated with the finds from the E part of Trench IIS in 2017: they can be interpreted as the W limit of a N-S street branching off from Via Marina (which was eventually obliterated for the construction of the sanctuary triporticus). W of the sidewalk are the visible remains of two rooms paved with cocciopesto floors. The analysis of the W sector of Trench IIS (which we reached by the end of the week) will surely provide more clues as to the nature and function of these features. Meanwhile we will expand the area, excavating another portion of the Roman-period stratigraphy of the court. Dr. Kate Trusler from the Department of Anthropology at Mizzou came to visit the site and we look forward to collaborating with her for the study of the faunal assemblages. We also opened our doors to Prof. Rebecca Futo Kennedy and her students from Denison University for a close-up tour of the dig. All are welcome! Feel free to contact Dr. Marcello Mogetta (mogettam@missouri.edu) or Dr. Ilaria Battiloro (ibattiloro@mta.ca) to arrange a visit. Some interesting finds this week enrich our picture of the neighborhood predating the monumentalization of the Sanctuary. We made progress on all fronts including removal of fill related to the first monumental sanctuary, finally reaching pre-Roman levels. Our latest report includes highlights from the second week (May 28-June 1) of the Venus Pompeiana Project. The 2018 season of the Venus Pompeiana Project started off with a fun and rewarding first week. 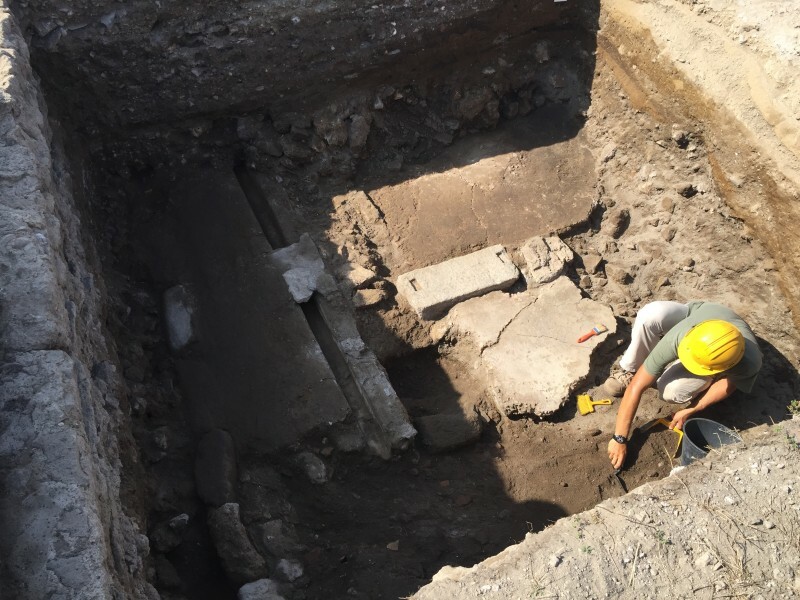 In 2017, VPP began 3D survey of the temple podium and re-exposed a previously excavated trench in the temple court.